From High Peak USA, "The Alpinismo 55 is so versatile. This 3 lbs, 5 oz., single compartment backpack is made for the multi-use trekker. It has daisy chains to attach gear to and an outside envelope for ropes or crampons. Is the 55 liter capacity too much this trip? The side compression straps wrap around the front to the opposite side of the pack so you can minimize your gear load and still keep everything securely in place." The Alpinizmo Lightning 50 backpack by High Peak USA is big on features and light on weight at 3.4 pounds. 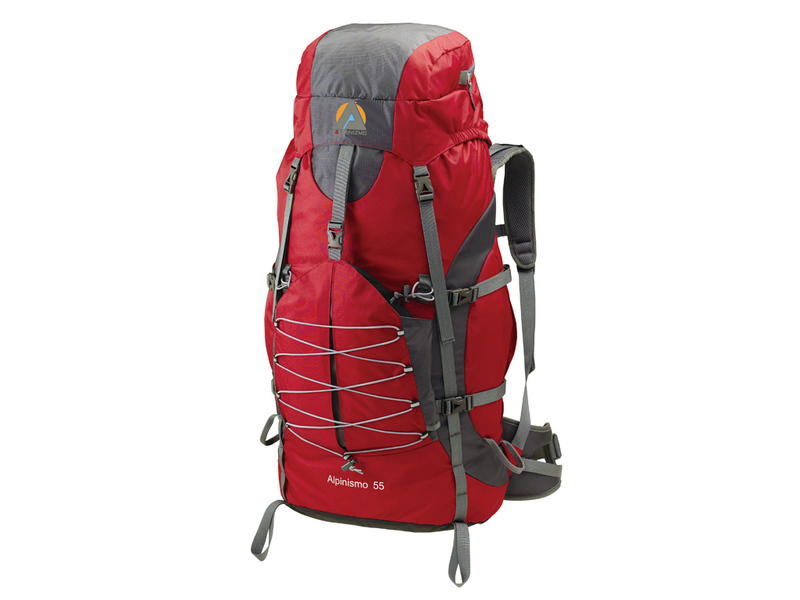 It features a top lid pocket, 2 side compression straps, side pockets, and dual ice axe holders. 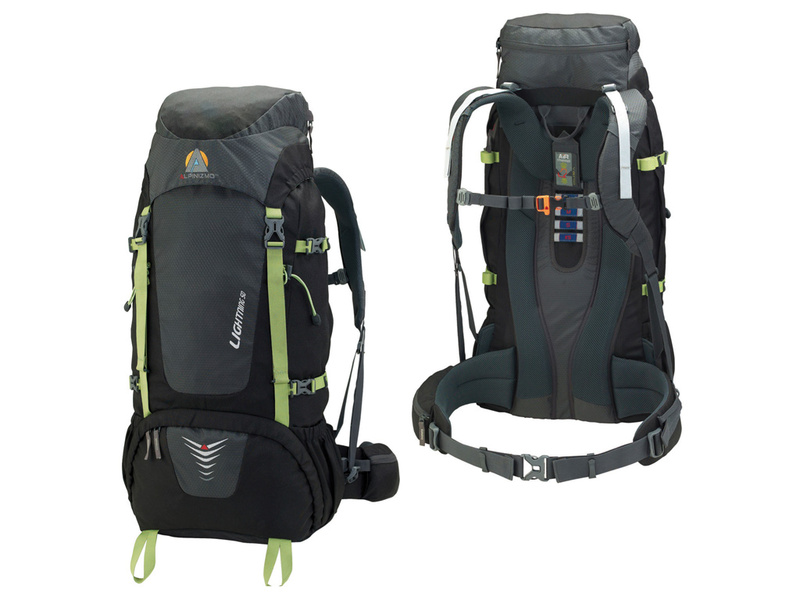 The Lightning 50 pack is also hydration compatible, has a pre-bent aluminum suspension bar, EVA foam shoulder straps, chest belt, air channel Vario System, and two main compartments with divider. From High Peak USA, "The Phantom 45+10 is the little pack that could. Super rugged construction weighing only 4 lbs., 8 oz., fully adjustable harness system, lots of pockets and compression straps on this 45 liter backpack that continually works and plays hard. The Phantom 45+10 is ideal for teens and adult trekkers. It is the men’s version of the Luna 45+10." 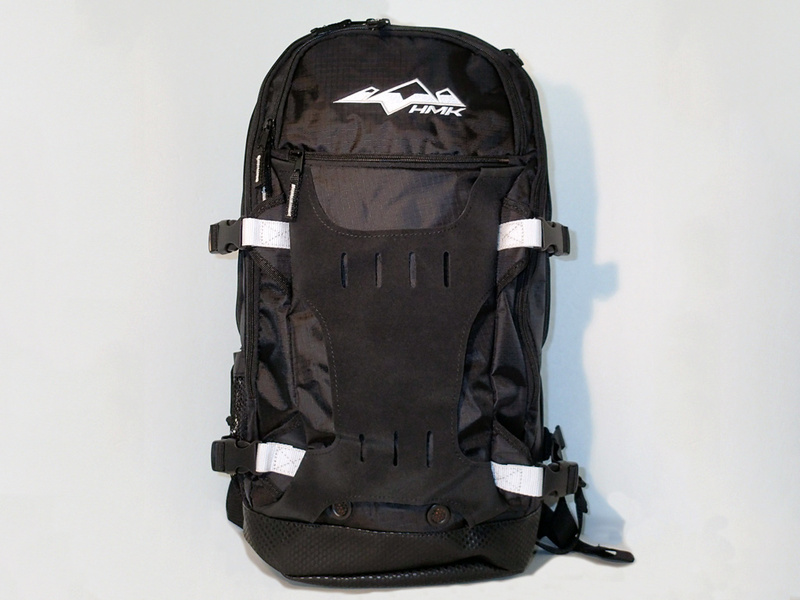 The Summit V16 is the largest pack in HMK's line of snowmobile-oriented backpacks. It's big on features and even bigger on durability. The Summit V16 sports individual compartments for a shovel, probe, and hydration bladder. It features a fully adjustable sternum strap and waist belt for added support and comfort, padded shoulder straps, padded shoulder blade and lumbar area, load compression straps, and a rugged scuff and moisture-resistant bottom. Organizing any snowmobile adventure is easy with the HMK Summit V16 pack, with its multitude of internal pickets, soft poly-lined goggle pocket, and dual zippered hip pockets. 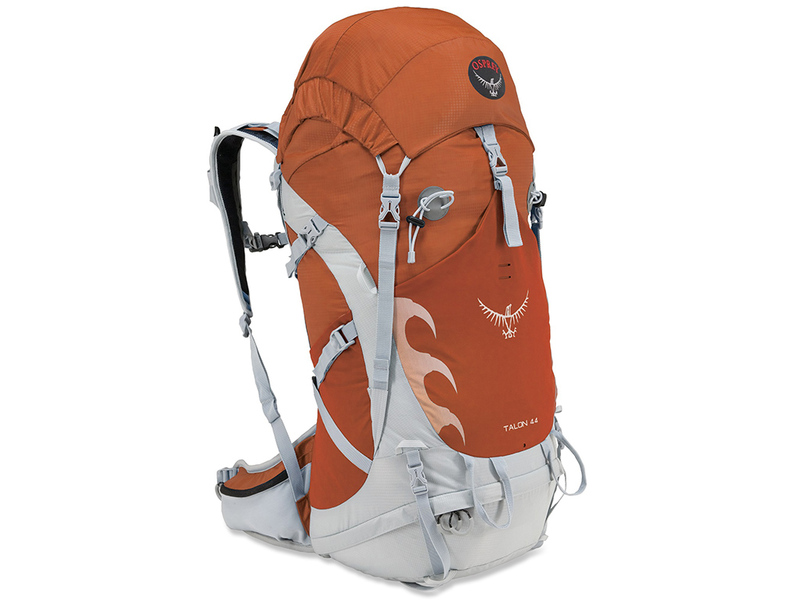 The Talon 44 is Osprey's lightest multi-day backpack. 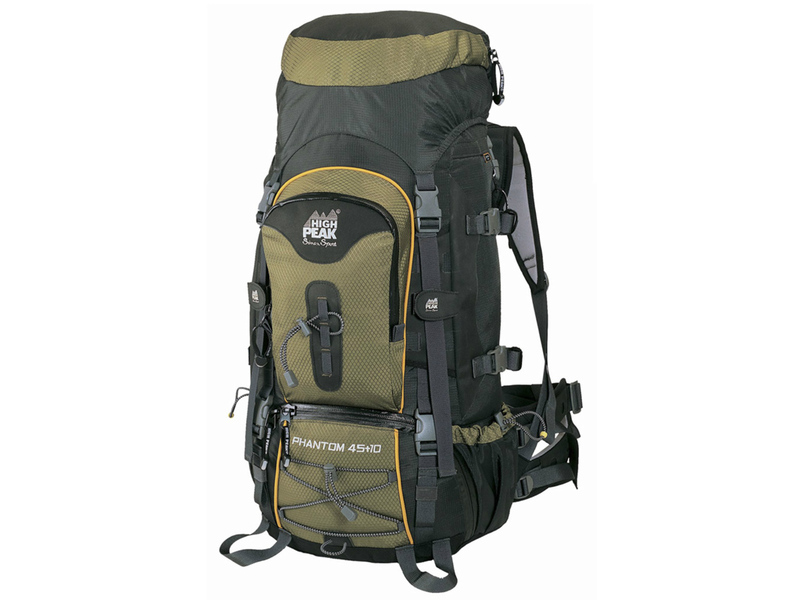 It is designed for cragging and climbing as well as light overnight and thru-hiking trips. It features a top-loading design with zippered sleeping bag access, a floating removable top lid pocket, front and side stretch pockets, and an aluminum rail with composite side struts for excellent load control. The AirScape back panel is designed to provide airflow between your back and the pack. The mesh-covered perforated shoulder straps and hipbelt are lightweight and feature pockets. An external hydration pocket makes accessing your reservoir quick and easy. 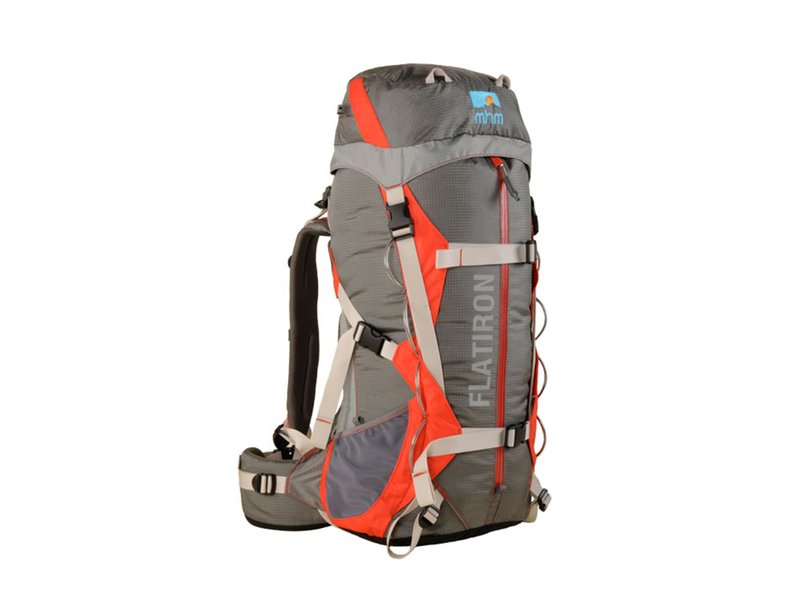 The Flatiron 38 is the smallest pack in Mile High Mountaineering's (MHM) Expedition Series. 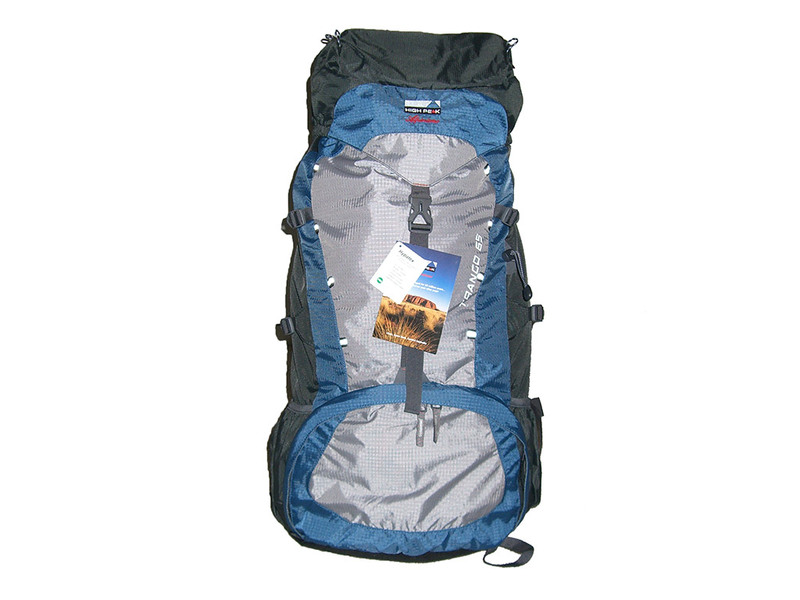 It is a technical pack intended for climbing or quick and light backpacking trips. It is nearly bulletproof with Cordura Plus™ fabric used on the entire pack. The fabric is coated with a durable water repellent (DWR) finish to keep things dry, but if it gets really wet there is an included packslicker rainfly made out of silnylon. 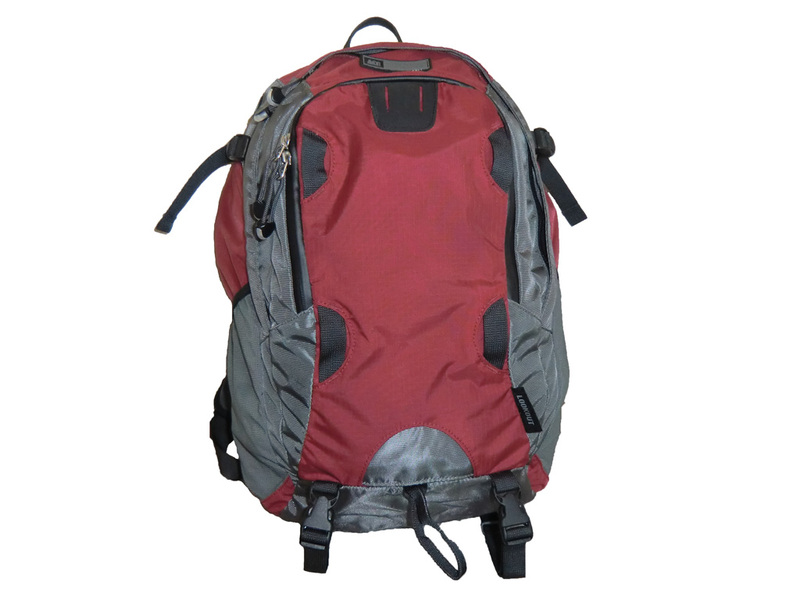 Gear is easily accessed through either the top opening or the vertical front zipper. The Flatiron features a sturdy frame system, ventilated back-panel, dual-pivoting hipbelt, adjustable harness, internal hydration pocket, ice axe loops, and much more. The REI Lookout daypack has plenty of pockets for organizing gear and its contoured fit feels great over miles of trail. The molded-foam back panel increases comfort and features channels to improve air circulation. The internal sleeve accommodates a hydration bladder with drinking tube exits on either side of the backpack. The wide opening main compartment allows easy access to gear. Additional pockets include the zippered front organizer pocket, zippered top stash pocket, two zippered stash pockets on the waist belt, two zippered vertical side pockets, and two mesh side pockets. The backpack also features side compression straps and a single ice axe loop that tucks away when not in use. To top it off, the pack has a polyurethane coating for weather resistance.